Okay guys, these two are THE cutest! 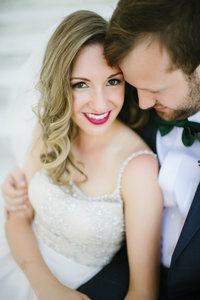 Their Pinckney Recreation summer engagement filled me with all sorts of warm, happy feels! I met Mary and Dave at Pinckney Recreation Area, right near where they live. These two LOVE going there, and I can tell why. The park is not only beautiful, it also has a calm and peaceful sense about it. I love photographed Mary and Dave there. They were totally in their element! They were relaxed and their true personalities were displayed as I documented the chemistry between them! They had a little picnic at the beginning of our session and Mary made homemade cookies! They looked delicious! After the yummy picnic, these two had a chill session on the hammock. And let me tell you, Mary looked too cute in her red dress! As I photographed, we talked and laughed. I learned so much about them! These two loves are attending University of Michigan for med school. So not only are they adorable and charismatic, but they’re also smart! Usually opposites attract, but the similarities that they share bring them closer! I think it is so cool that through all the challenges of med school and life, these two are making it work! Hopefully one of them is going to be a cardiologist, because they’re making my heart throb! Okay… completely cheesy, I know. But seriously, take a look at these sweethearts! I cannot wait for their wedding at the Gandy Dancer in Ann Arbor this September!